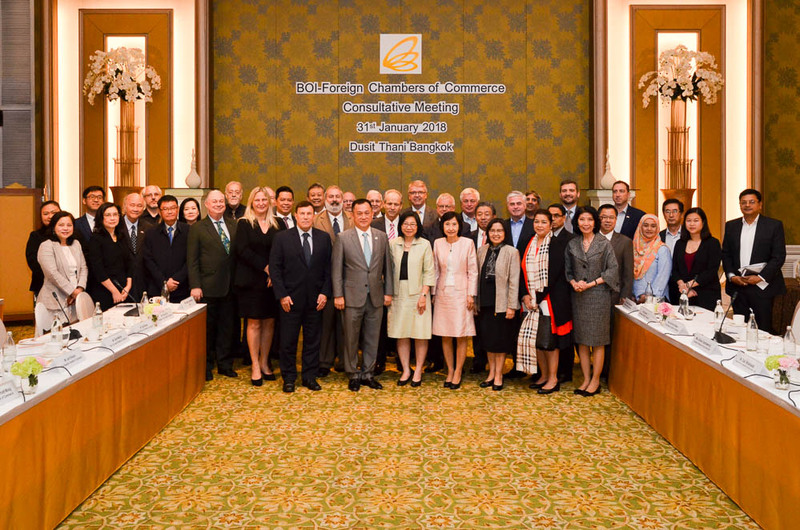 The Armenian – Thai Chamber of Commerce participated at the high level consultative meeting together with the Joint Foreign Chambers of Commerce of Thailand (JFCCT), with His Excellency Dr. Korbsak Pootrakool, Minister Attached to the Office of the Prime Minister, the leadership of the Board of Investment (BOI) and representatives from several Thai government agencies. 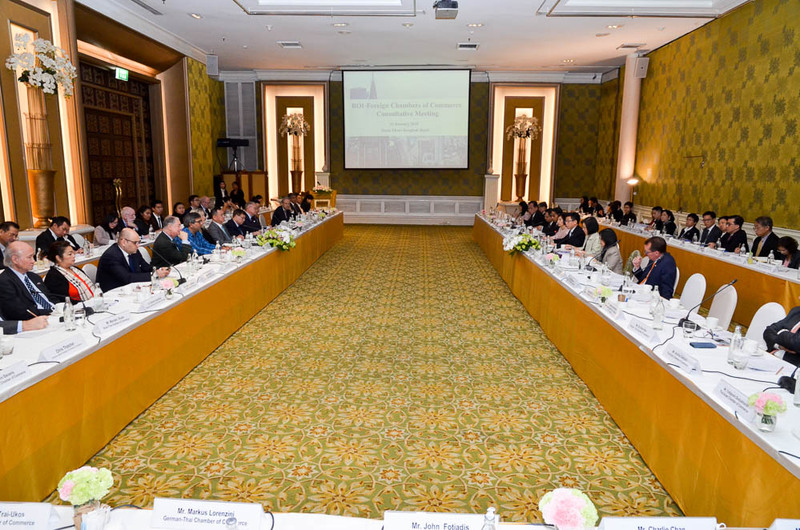 The objective of the high level meeting was to jointly discuss the economic plans of 2018, be informed about the new investment opportunities in Thailand as well as review the new Eastern Economic Corridor (EEC) Thailand 4.0 initiatives’ progress. 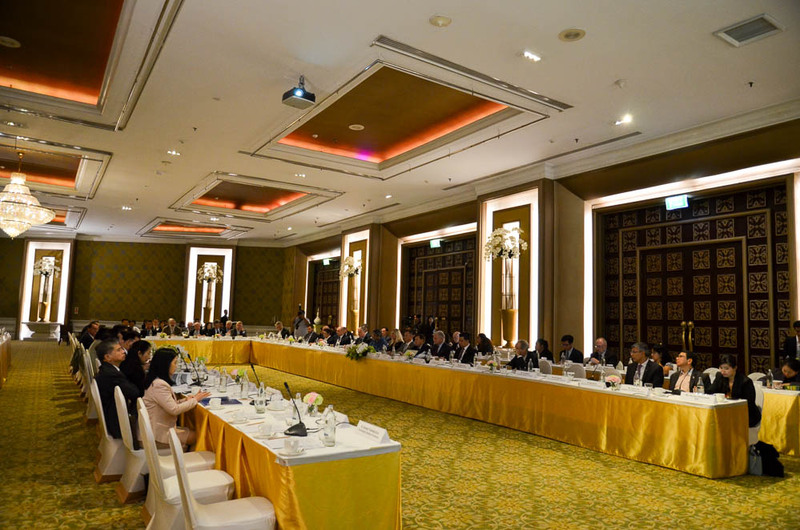 The delegates were likewise updated on the Thai government’s new investment promotion measures geared to attract foreign direct investments in the Industries of smart electronics, next-gen automotive manufacturing, affluence tourism, health tourism, digital economy, aviation & logistics, automation & robotics, biotech & biofuels. 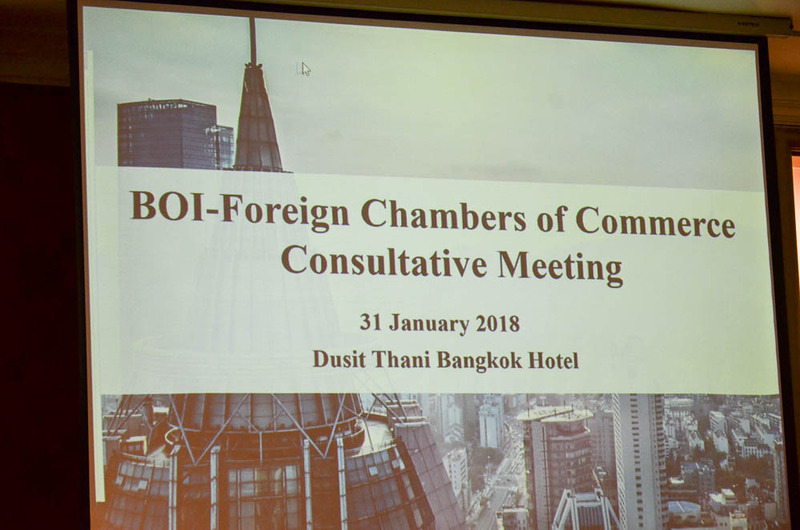 The JFCCT & BOI consultative meeting took place at the Dusit Thani in Bangkok, on 31 January, 2018. 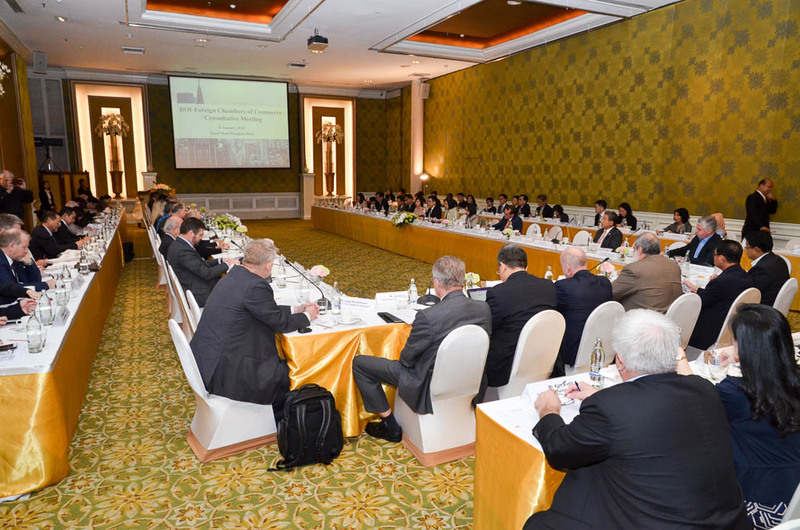 Similar Consultative meetings between the JFCCT & BOI are held annually and are a productive platform to exchange opinions, mutual concerns and touch upon common interests between the business stakeholders of the expat community of Thailand, greatly facilitating towards a dialogue for developement and business framework adjustments which in turn, eventualy enhance the practices of doing business in Thailand. 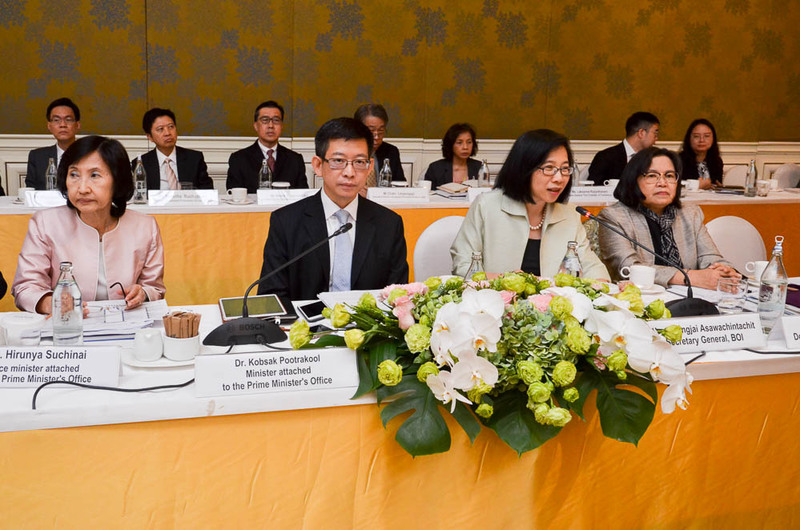 In the year 2018 the highlighted government facilitation will be the introduction of the SMART Visa Program, in conjunction with the BOI. Further information can be attained by clicking on this link http://www.boi.go.th/newboi/upload/content/SMART_Visa_Revised24Jan_90620_5a780431c19db.pdf . Following the informative keynote address by H.E. Dr. Korbsak Pootrakool, Minister Attached to the Office of the Prime Minister, Ms. Duangjai Asawachintachit, BOI’s Secretary General, updated the foreign chambers’ presidents and high level business delegates who represented more than 30 countries with BOI’s Policy Update, activity-based, technology-based, merit-based and geolocation-based investment measures and policy guidelines, elaborating on the opportunities of the EEC, simultaneously encouraging a joint discussion and opinion sharing, as well as a Q&A session to create the constructive business dynamic between the participating government agencies and the foreign chambers of commerce leaders. 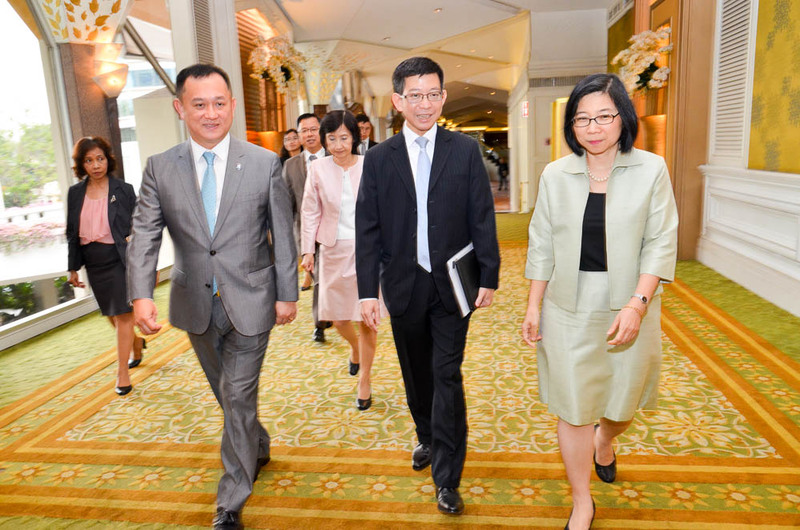 Mr. Stanley Kang, the Chairman of the Joint Foreign Chambers of Commerce in Thailand (JFCCT) agreed and appreciated the Thai governments as well as parallel government agencies’ continuous openness towards foreign investors and the shared will to find inclusive solutions for relevant challenges in relulatory, labor relations and tech-related aspects of doing business in Thailand. 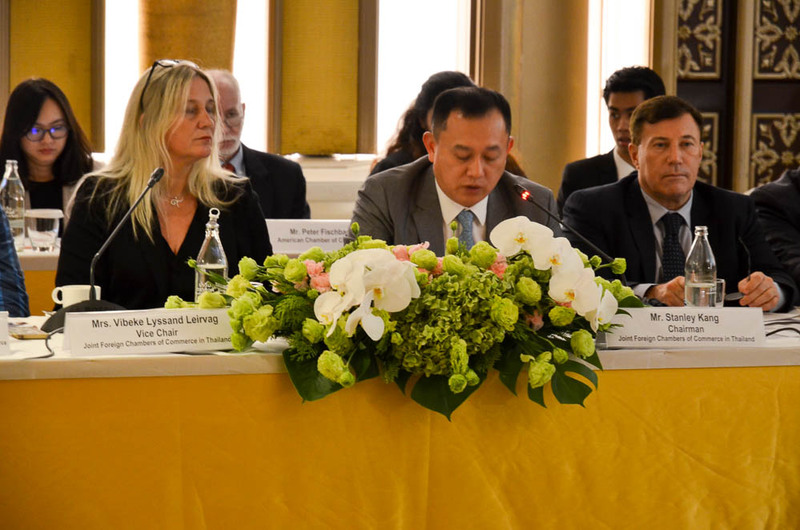 As per BOI’s appreciation Thailand is ranked 26th most business-friendly nation in the 2018 according to the World Bank’s Ease of Doing Business and second most improved country among 190 economies in the 2018 rankings, climbing from 46th in 2017.